Everything you love about classic Fashion Plates® Deluxe with an all-new superstar edge! Featuring rockin’ guitars, microphones, and stage-ready fashions, aspiring designers can create mix and match pop star looks that are sure to blast to the top of the charts! Pack everything neatly in the trendy portfolio case and hit the road! 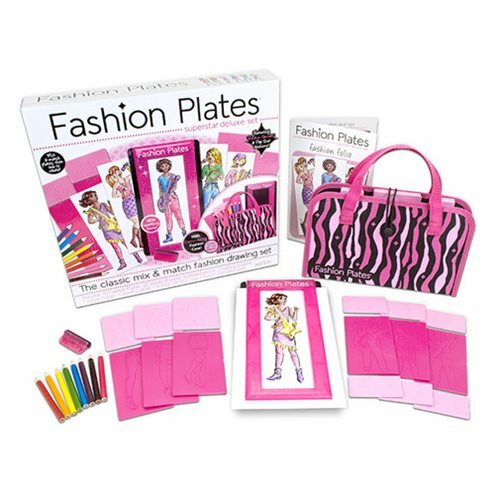 Compatible with other Fashion Plates® sets. Ages 6 and up.